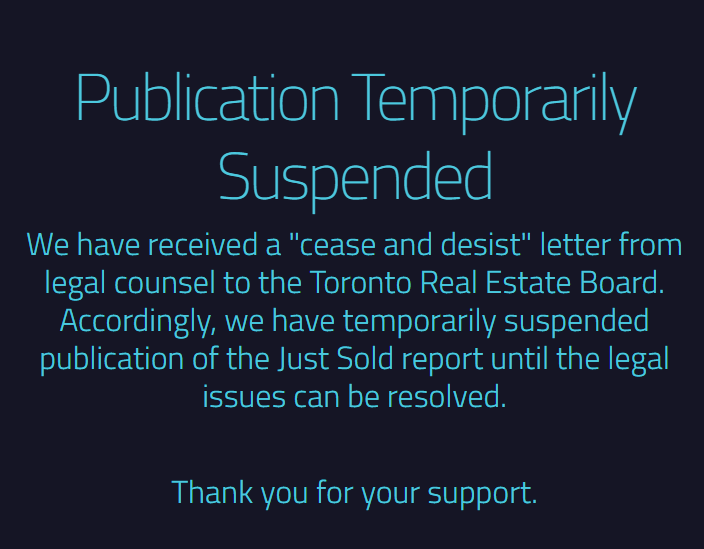 The website torealestatesold.com, which is managed by agent Fraser Beach, posted an online message Thursday that its publication has been temporarily suspended following the receipt of a cease and desist letter from the Toronto Real Estate Board’s legal counsel. The full message can be seen below. This isn’t the first time the website has received such legal threats. In March of last year, the website was taken down following a similar letter from TREB. "In light of recent developments, we fear that making this information available to you, in this form, may be threatening our ability to continue operating as a real estate brokerage," Beach wrote at the time. However, a mere month later the website was back up and running. Earlier this summer, TREB was ordered to open its sold data to the public following a competition tribunal ruling. In July, the board said it was appealing that decision. With the recent cease and desist letter, it’s obvious TREB is still fighting that ruling. REP has reached out to Fraser Beach. This story is developing. Hey Gary, remember the board charges all agents fees aboth monthly and per transaction to provide the MLS data and to staff the board. It's NOT FREE. 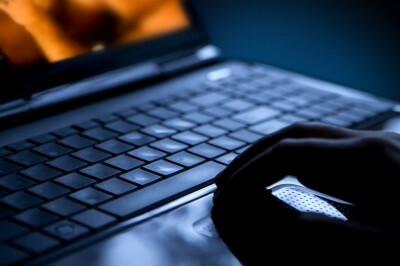 Let the public go to the Registry and conduct there own searches and see if it's free. Then again, you probably work for some low fee company and take a lot of risks for very little. Wait til you get hit with fines etc for "failing to properly...." and you'll figure it out.